Are you ready to travel and go places around the world? Well if you are a Smart subscriber, you have the chance to do that. Smart teams up with the world's biggest community-driven hospitality company, Airbnb. From apartment type, to a villa or even a castle, Airbnb is changing the way people travel by opening up millions of unique accommodations in more than 34,000 cities in over 190 countries. Airbnb offers a reasonable and affordable accommodations for everyone all over the world. Moreover Airbnb ia an award-winning app, which is downloadable for free on the App Store and Google Play Store, makes searching, communicating with hosts and booking safe, seamless and fun and brings the world at the fingertips of Filipino travelers who are in search of a home away from home. Today Smart Prepaid, Smart Postpaid and Smart Bro subscribers can now enjoy a P2500 discount for a minimum of P8,000 booking, here or abroad, on Airbnb. 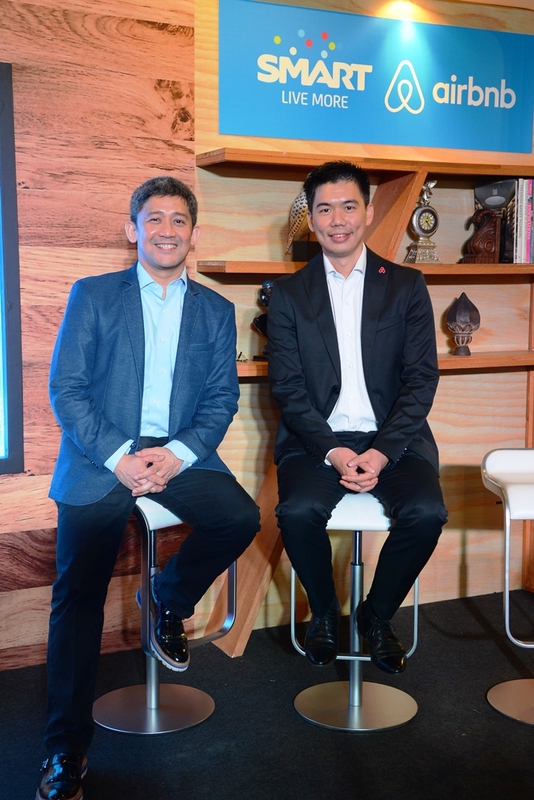 JJ Chai, Regional Director for South East Asia at Airbnb shared that they are excited to reach more Filipinos through the partnership with Smart. To unforgetable travel experiences in just a few clicks away on Airbnb. 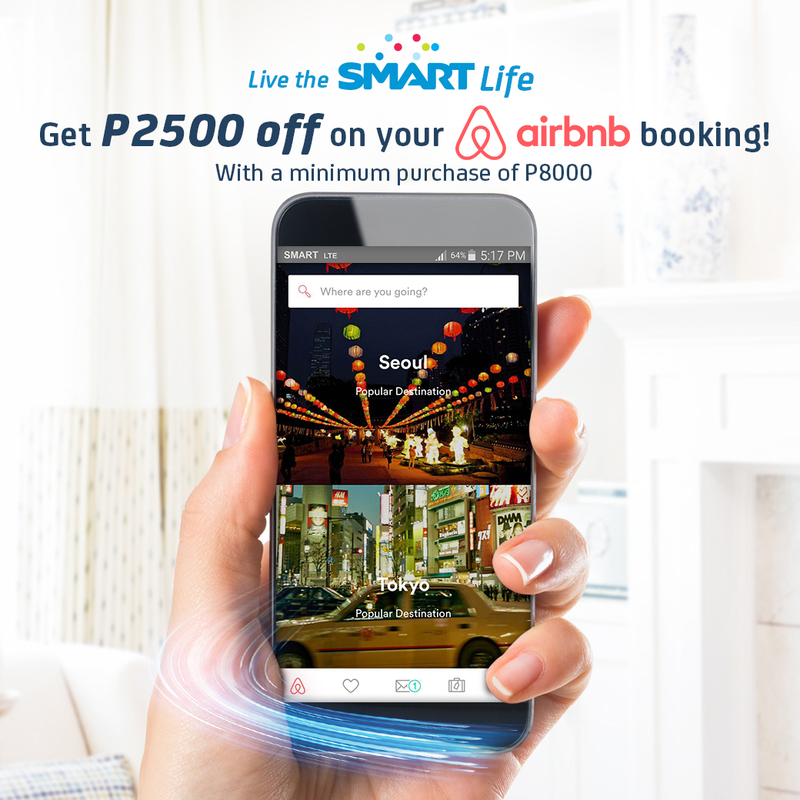 From today until January 2016, Smart subscribers will receive a P2500 Airbnb discount for any Airbnb booking with a minimum spend of P8,000. The discount is limited to one booking per subscriber, valid until December 2016. The booking has to be made by March 31, 2016 and the date of travel must be between today and December 2016. More information about the terms and conditions at Airbnb.com/smart. Smart’s expansive mobile coverage across the country, coupled with the most innovative data packages such as Big Bytes 50 – which offers 350MB of data plus 600MB FREE access to iflix, FOX via Viewstream, and SPINNR valid for three days – will allow travelers to enjoy the Airbnb app and book their accommodations anytime, and wherever they may be in the country. 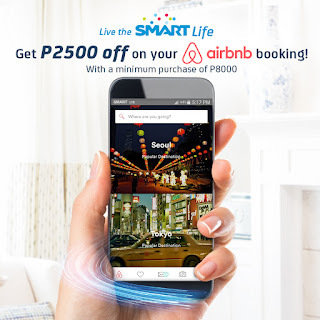 For more on the partnership between Smart and Airbnb, visit smart.com.ph/airbnb.